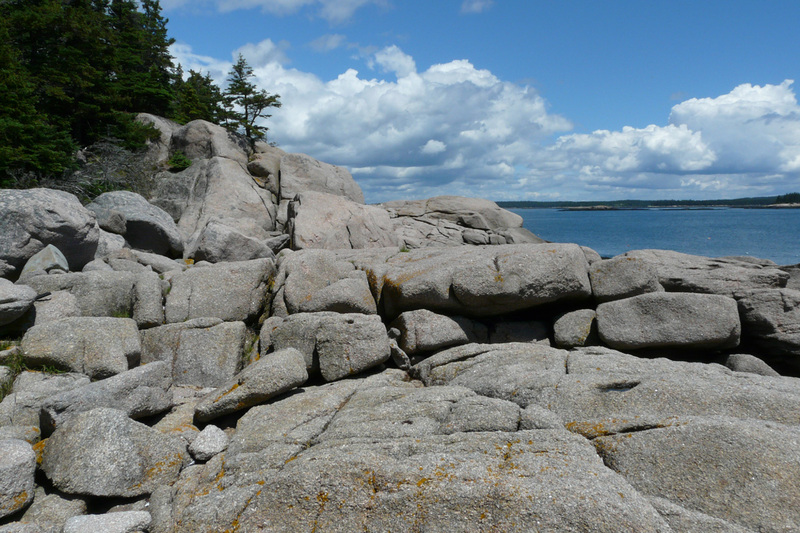 The Nature Conservancy has a preserve on Great Wass Island, just south of Jonesport on the Maine coast. 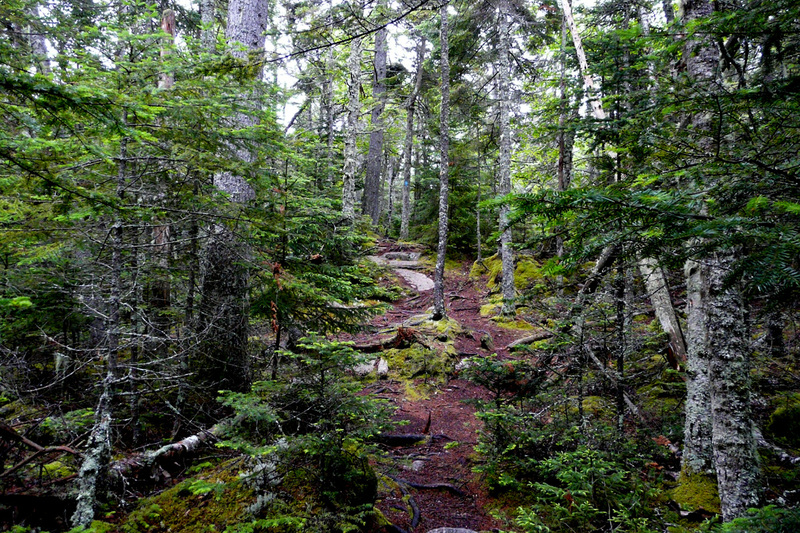 The property has a nice variety of habitats, including spruce forest, cedar bog, and rocky coast. 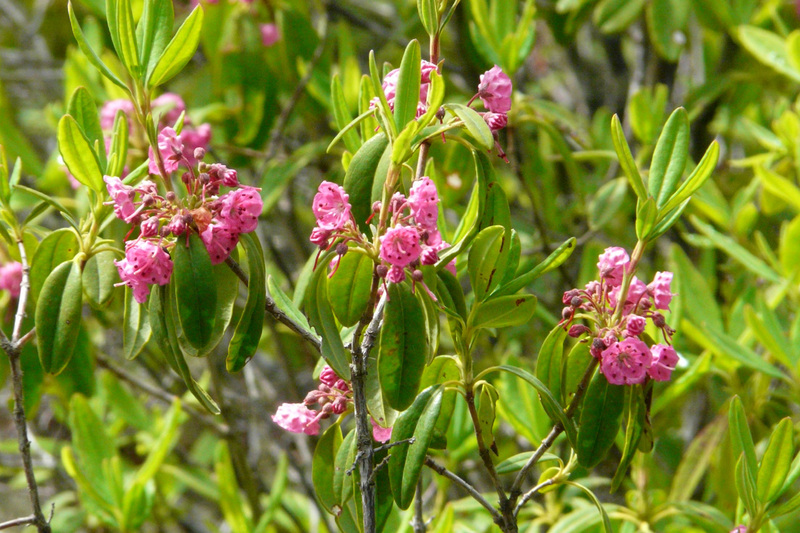 Wild Blueberries grow in the open areas at the top of the hills. 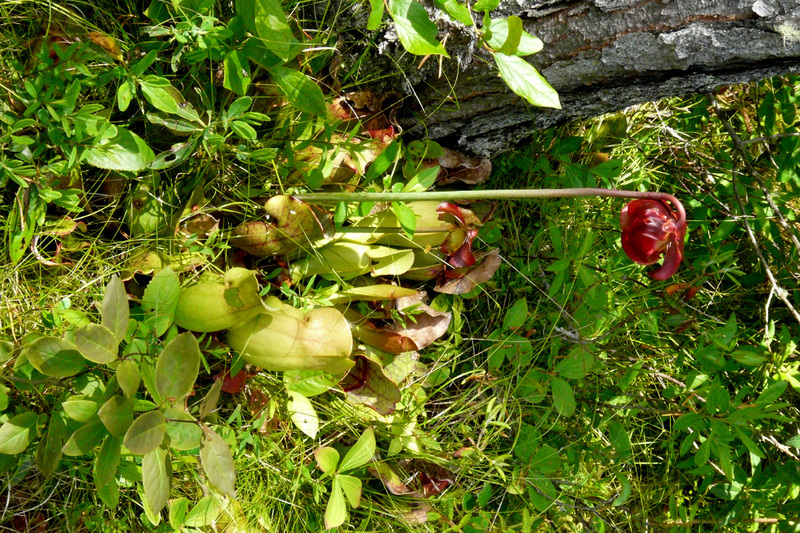 The cedar bogs are home to carnivorous plants, like this pitcher plant. 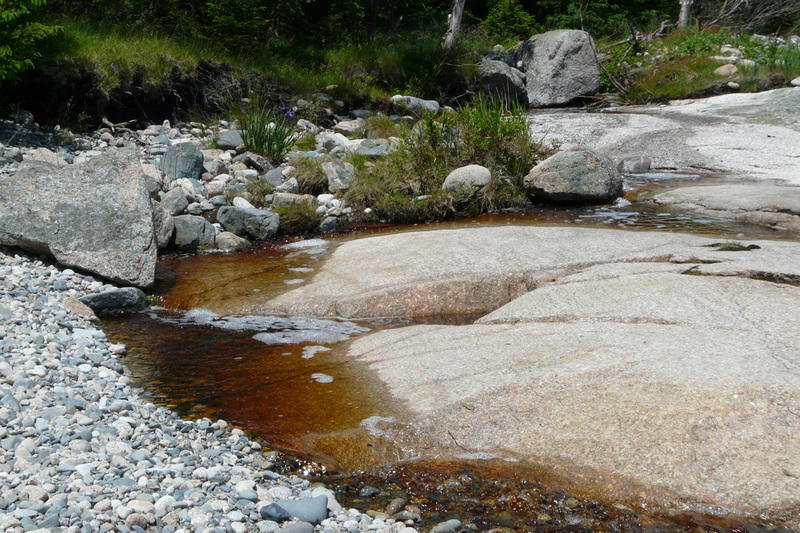 Runoff from the bogs is the color of tea. 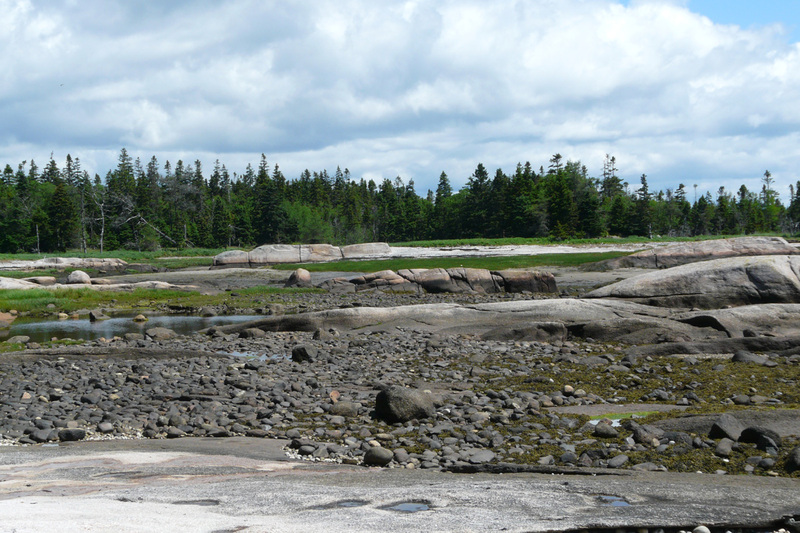 The shore offers some good tidepooling at low tide. This is the “trail” along the shoreline. The occasional dab of blue paint lets you know you are not completely lost. Lots of little islands lie just offshore. 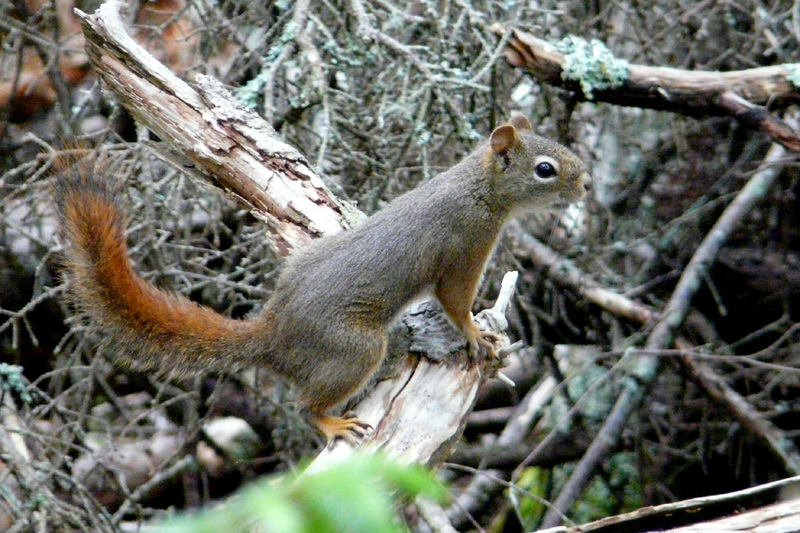 Red Squirrels are common in the woods. 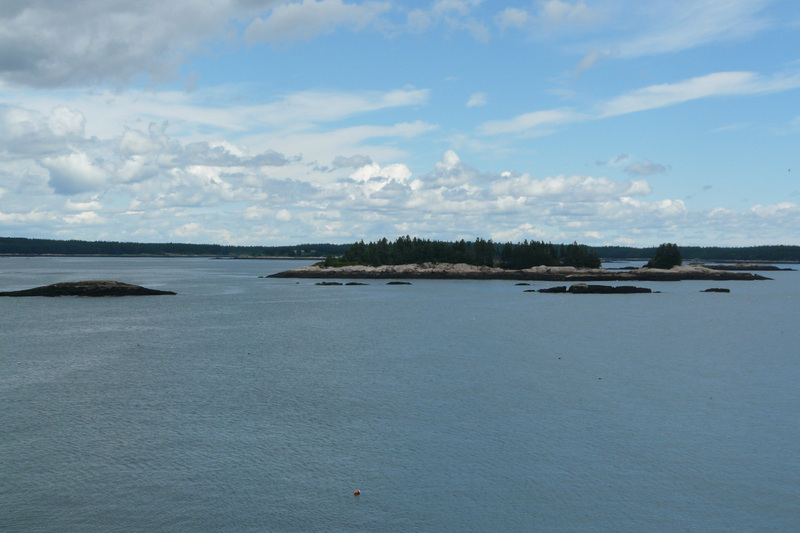 And that is the last of the photos from my Maine trip. Now back to Oregon. 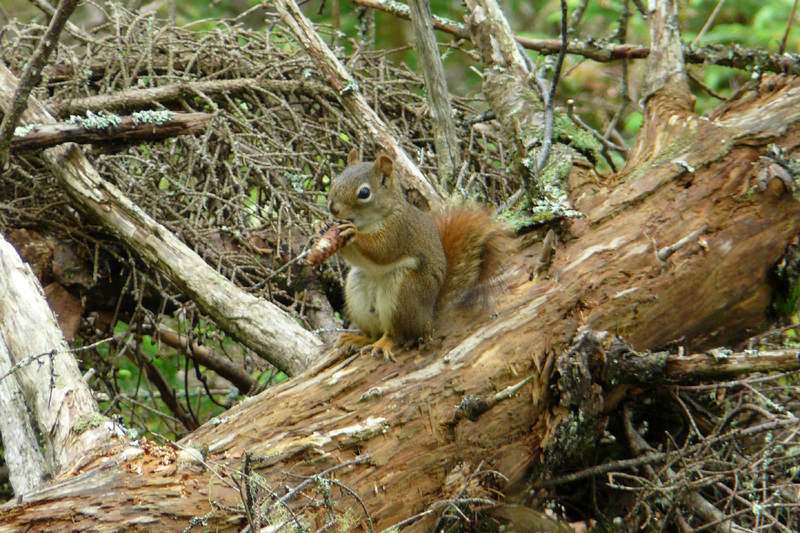 This entry was posted in beyond OR, mammals and tagged Great Wass Island, Red Squirrel. Bookmark the permalink.